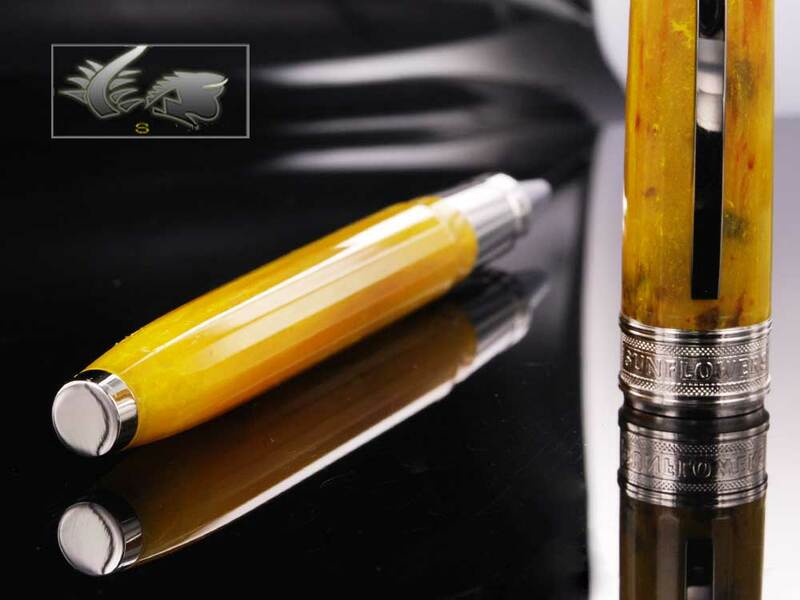 Driven by the love of art, and the desire to make pens with such beauty as some of the most important masterpeices of all time, Visconti has taken inspiration in one of the most admired French artists, Vincent Van Gogh. The impressionist master has wondered all sorts of people throughout the world with his fresh and vibrant style, and has gained the admiration of many art lovers. One of the most beautiful paintings he made was the “Sunflowers”. The majestic composition of colours and the variety of emotions the painting transmits makes it a pleasure to contemplate. The designers in Visconti had the great idea to capture these sensations in a writing instrument, and managed pretty well to achieve it. The colour blend, although taken from the painting, is unique in each pen. The surface is smooth and polished, but the visual texture imitates that rough aspect of oil painting. The colours, texture and delicacy of these pens make them special pens with no equal. As usual, Visconti adds their own touch with the magnetic closure system and the curved clip. These truly beautiful Visconti Van Gogh Sunflowers pens are available as well as the Van Gogh Starry Night pen at Iguana Sell.